The Lincoln Commemorative Silver Dollar is a special commemorative coin which was issued by the United States Mint in 2009. The purpose of this coin is to celebrate the 200th anniversary of Pres. Abraham Lincoln's birth, and to raise money for the Abraham Lincoln Bicentennial Commission (ALBC). Although the mintage was limited to 500,000 specimens, only 125,000 uncirculated coins were sold and 325,000 Proof coins were sold. The Lincoln Silver Dollar Commemorative coin had an introductory period sale price of $31.95 for the Uncirculated version, and $37.95 for the Proof. According to the legislation that requires the minting of this coin, (PL 109-285, link is a PDF file), the sale price of the Lincoln Commemorative Silver Dollar included a $10 surcharge to benefit the ALBC. The price also included the actual expense of producing the coin and marketing it, plus the coin's $1 face value. Was the Lincoln Silver Dollar a Winner? With sales of 450,00 coins across both minting options (Proof and Uncirculated finishes), this coin could have easily become a big winner (from the investment standpoint) if the Lincoln Commemorative Silver Dollar would have sold out. Unfortunately, demand for the coin fell short of the mintage limit of 500,000. Currently these sell on the secondary market for a slight premium over the initial purchase price. The market has been holding steady at approximately fifty dollars per coin. Given this very slight increase since its initial release in 2009, it turns out that this coin was not a very good investment. However, it is still a fairly new coin and demand for it may rise in the future. 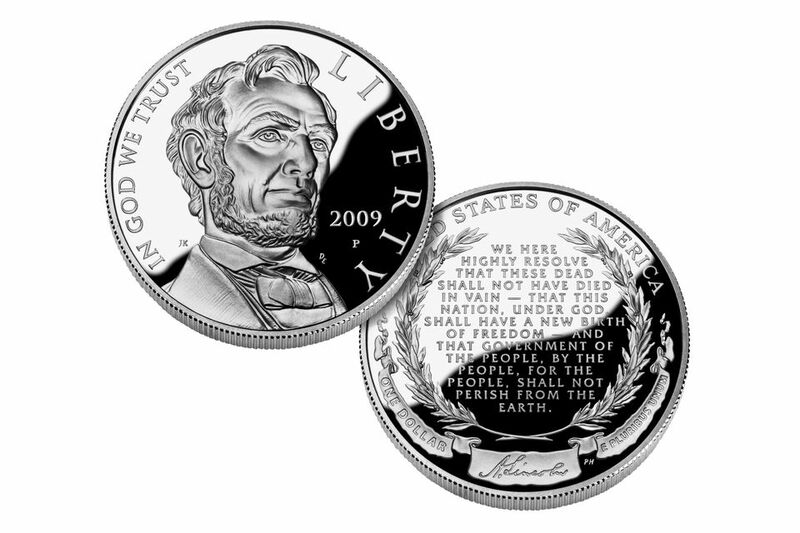 Therefore, I would hold onto your 2009 Abraham Lincoln Bicentennial Commemorative Silver Dollar.